I have to admit I like the rough texture of drinking chocolate disks before they are melted into liquid. 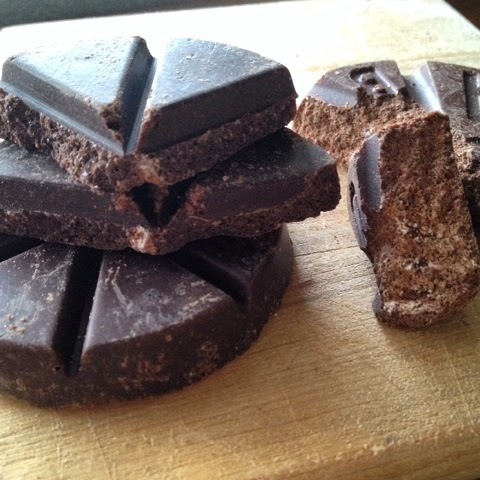 Comparing one chocolate against another is always a useful process. I prepared both in hot water instead of milk. That is usually how I take my sipping chocolate. I don't like anything mucking up the flavor, and I want to taste every aroma possible. A strange comparison, fine artisan crafted Criollo chocolate vs mass produced. Why? Because I think it is important to keep reminding myself the reasons I spend so much more on better chocolate. I know the flavors, aromas, and textures of fine chocolate will hold my interest. I like confirmation that the spendy craft chocolate is worth it. Ah Cacao. A much deeper chocolate flavor than the competition. Nutty notes. Pleasant, smooth, and keeps me coming back for more. Sweet but not too sweet and a bit of cinnamon peeks through the flavor now and then. 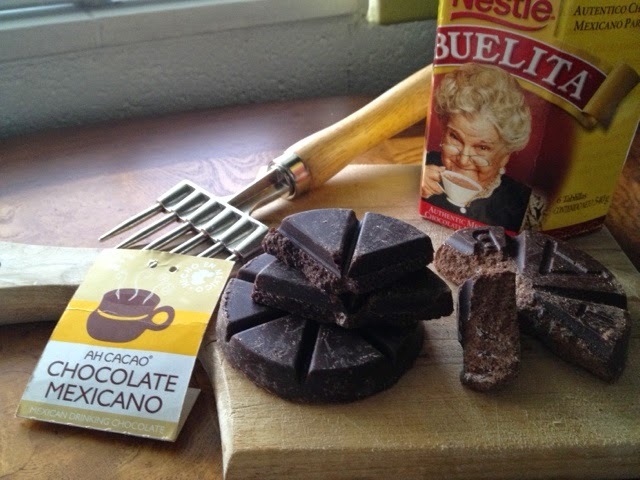 Abuelita. Very sweet, more sweet than chocolate. The cinnamon flavor is strong and harsh. I realize the reason as soon as I read the package ingredients (oops, my bad for not reading before I purchased). Keep in mind I'm not trying to make a chocolate snob out of you. Really. Flavors and aromas are tightly tied to memories. If the aroma and flavors of Abuelita spark fond memories from your past, by all means, please keep enjoying and lingering over those good times! Ah Cacao Mexican Drinking Chocolate. Abuelita Mexican Chocolate Drink Mix. Training your palate is not about turning your nose up and becoming a snob. It is all about learning what you enjoy most and sometimes why you enjoy it. Now go find some chocolate and enjoy!